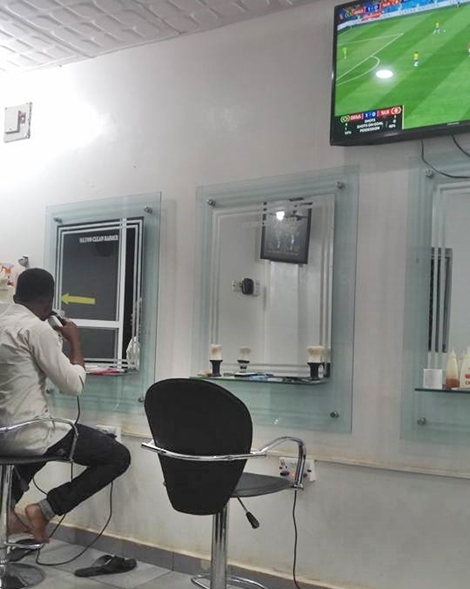 He wrote,"Att #ThePresidency The Management of HILTONCLEAN BARBERS, a classy barbing saloon in Abuja hereby offer to give the President of the federal republic of Nigeria President Muhamedu Buhari a free one year hair cut and treatment.. 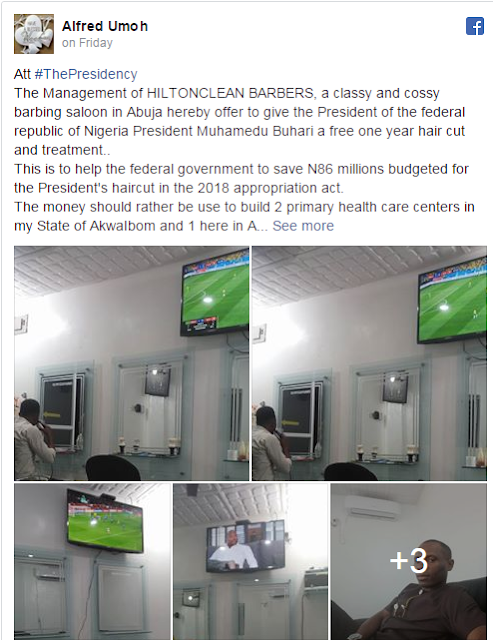 This is to help the federal government to save N86 millions budgeted for the President's haircut in the 2018 appropriation act. 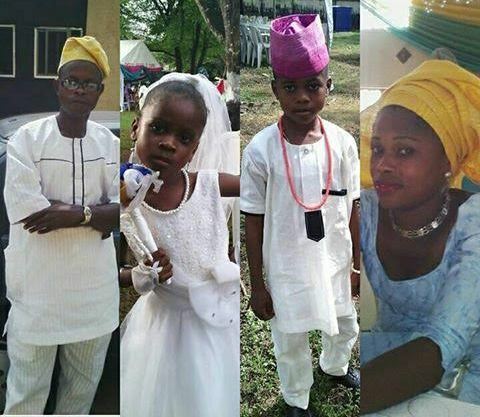 "The money should rather be use to build 2 primary health care centers in my State of AkwaIbom and 1 here in Abuja at the cost of N28 million each.. My little way of helping the Government...This government seriously need help."